Growing up, children use their wildest imaginations when answering the question, “What do you want to be when you grow up?” Astronaut is a common answer, as well as president, doctor, and pop star. Family members always laugh and comment, “good luck,” in a way to share just how hard these dreams will be to accomplish. For many kids, these ambitions get put on hold for other goals. However, for the select few, those dreams become even bigger as time goes on. They meet other people that share the same passion and work together to achieve the dream they have always had. 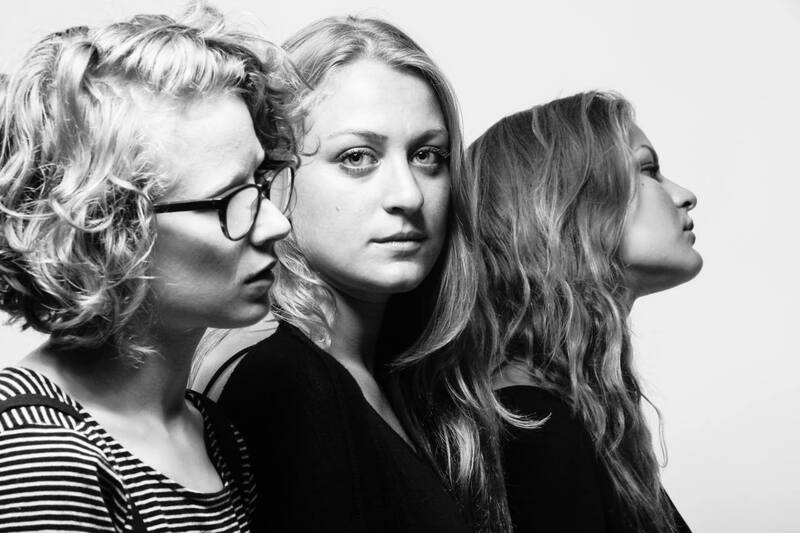 For Chicago-based indie pop trio Moonrise Nation, this notion could never be truer. 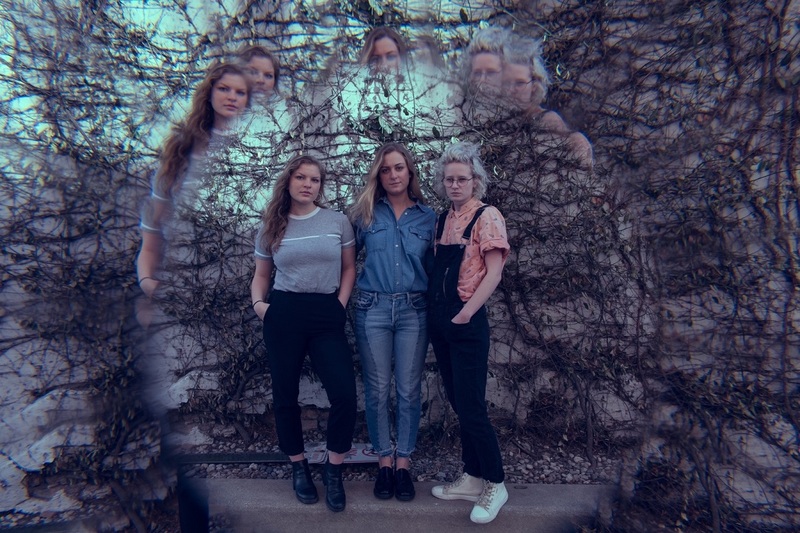 Moonrise Nation is made up of Emma McCall on vocals and guitar, Arden Baldinger on keyboard and vocals, and Eva Baldinger on the bass, cello, and vocals. The three talented women grew up together, as Arden and Eva are sisters, and Emma was their best friend. The formation of the band happened naturally, and ever since the beginning, the chemistry has been on fire ever since. When it comes down to it, the band love to keep it all in the family. They are using their grandmother’s artwork as their single/album cover, as well as using her pieces in their live shows. These special touches to their songs help listeners to not only learn more about them, but also relate to their music more as well. In January, Moonrise Nation debuted the first single off their upcoming debut album, “Glamour Child.” They received over 300,000 digital streams without any major press or marketing. Their instinctive vocals on relatable lyrics are a key to their success. Moonrise Nation pride themselves in refusing to hold anything back in the song writing process. They want to be as open and honest as possible, which creates beautifully and emotionally written lyrics every time. Coming off the success of this initial single, Atwood Magazine has the pleasure of introducing their next single, “Demo Day.” This single has the same melodic lyrics as the first, however it delves into the difficulty relationships face. It talks about the love you have for someone, but as hard as you try, the relationship is ending. This is a heartbreaking time for anyone, and Moonrise Nation expertly relay their emotions through this song. As the surrounding instrumental rises during the song, so do the feelings that the listener goes through. “Demo Day” is a perfect display of lyricism and heart. Moonrise Nation’s highly anticipated debut record comes out in May (via Zinc Music/Cc Entertainment). If there is any indication of what fans can expect, is that it will be family driven, emotional, and have beautiful lyrics. The band’s passion for their music is what will push them and their songs to the next level, and their album is sure to reflect that. Atwood Magazine: How did Moonrise Nation form? Moonrise Nation: Emma and I (Eva) began playing music together in high school as a creative outlet. Arden, my younger sister, was always around the house when we’d play and eventually began sitting in on rehearsals. At first, the three of us performed mostly covers at local coffee shops and bars, but eventually we began introducing our own material into the mix. One day we decided to throw together some material and put it on Soundcloud. It was through this action that we became connected with the Minneapolis music community we are now a part of. Where does the name “Moonrise Nation” come from? Moonrise Nation: As cliche as it is, we were spending a weekend out in Galena, Illinois (rural area NW of Chicago in the Driftless Region) and witnessed a full moon rise over the treeline. We were in the midst of coming to terms with a band name, and felt that moonrise was a good fit, especially since the moon is recognized as a symbol of femininity in many cultures. Our music video for “Glamour Child” was filmed at this spot in Galena. You are signed under Bobby Z’s record label. How has this experience helped shape your music into what it is today? Moonrise Nation: Working with Bobby has helped us understand the multifaceted nature of the music industry. We have our hands in almost everything we do, and Bobby’s team has been very helpful in guiding our artistic and professional growth in the field. What factors went into your decision to sign with Bobby Z? Moonrise Nation: We recorded our first EP with Bobby’s brother David Z. He is a phenomenal technician who has worked with Prince, Etta James, among other greats who we grew to adore and trust with our music. It wasn’t until the final day of mixing that we were introduced to Bobby Z, so we were a bit surprised that he wanted to invest his energy in our project. We felt a kind of ease in working with Bobby. His experience was a major plus, but for the most part we try to work with people who are as excited about our project as we are, and Bobby was. Your album has been three years in the making. What have you learned about your music through these years recording? Moonrise Nation: We have learned that the process of creating music is one that is constantly evolving. We took more initiative and risks with this project, and learned how to approach each song with an open mind. I (Eva) think it can be hard at times to build a song and not have a voice in the back of your head encouraging you to create something people will like. There are definitely times where that subconscious voice gets in the way of more authentic creation. We worked with the Producer Stephen Shirk on this project, best known for his live sessions with artists like Alabama Shakes, The Lumineers, and First Aid Kit, and he always pushed us to make music we were happy with versus creating it for others. He helped us mature a lot as artists. Has anything changed during this time as well? Moonrise Nation: A lot has changed. Emma and I are no longer college students. I personally feel I have learned more about life in the two years since graduation than at any point in school. It can be tough to be in your early 20s, working minimum wage jobs to support your music habit. The years between our EP and this album have been very formative for us. We’ve discovered a latent determination to continue making music amidst all of the chaos of growing, which has impacted our writing quite a bit. These years have been somewhat difficult, personally and politically. We feel as though being young is becoming increasingly challenging, even for young women like us who have experienced quite a bit of privilege. We went through the loss of a very close friend, have been heartbroken by the turn of events happening in our country, and have experienced the hardships of romantic relationships and job-related insecurities. All of these topics make an appearance on the new album. So, in a lot of ways the growth we experienced in life directly impacted the growth we experienced in our sound, organically and for the better. Who has inspired you as a band the most? 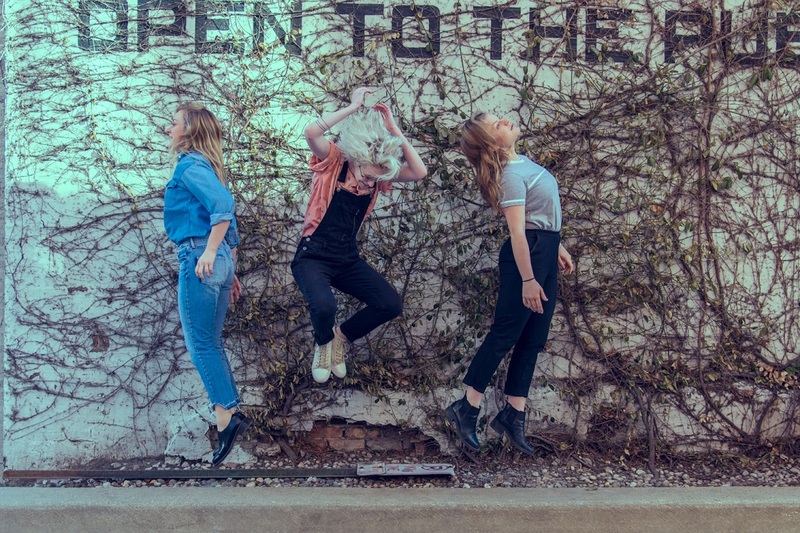 Moonrise Nation: Musically speaking, we draw influence from bands like Fleetwood Mac, Feist, Sufjan Stevens, Bob Dylan, St. Vincent and other such acts (we like a lot of different music so this is the very tip of the iceberg). Arden and I grew up in an intensely musical household, so I would credit both our parents as inspiration. They exposed us to a large variety of music, ranging from brazilian artists such as Joao Gilberto, to performers like Ms. Lauryn Hill. We were forced to play classical instruments and sing in choir from a young age (we are thankful now, but definitely hated them for it then). Both of those skillsets laid the groundwork for our personal endeavors. What are you hoping fans will take from your new single, “Demo Day”? 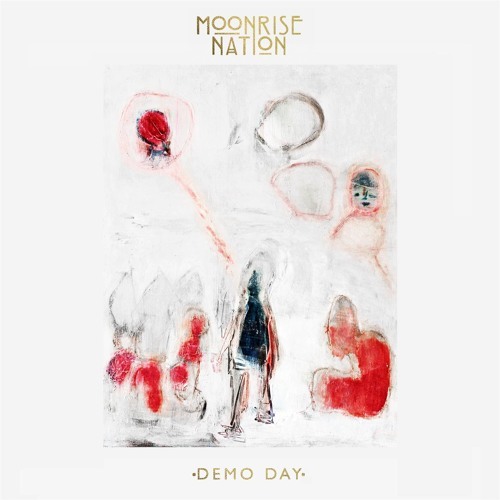 Moonrise Nation: “Demo Day” deals with the idea of building and rebuilding relationships. I (Emma) wrote the song amidst a relationship that was falling apart, despite the best efforts of both people. “Demo Day” deals with the tension and heartache of watching something you love come to an end, while still holding on to feelings of hope. This song is intimate and full of sorrow, but coupled with a kind of proclamation in the chorus, as to create a kind of assemblage of a relationship. Feelings of heartbreak are almost never simple, they are fractured, and convoluted and “Demo Day” is an attempt to try and piece things together. What were some of your biggest challenges that you have faced so far? Moonrise Nation: (A) making sure our music is heard by the right audience/enough of an audience, (B) shifting relationships with individuals outside our core base (the three of us), and (C) distance between band members (Arden is still a college student at UW-Madison). Moonrise Nation: Our music has all the familiar instruments and sensibilities of a folk/rock band. Emotionally and lyrically we don’t waste time talking about anything vapid or light. For us, our music is an outlet to ruminate and ponder. In a lot of ways our sound reflects the ideas we are writing about. For example, our song “Teach Me How” deals with the pensive nature of mourning a loved one. The lyrics reflect on how one can become overcome by the thoughts of loss. The topics of rumination, loss, and grief are something we took and tried to articulate with the piano performance, in which Arden uses different dynamics and arpeggiation to compliment the lyrical content. We really push our performance in the studio. Technically speaking it’s not the most complex album, but the performance of each part holds something very special and is purposeful (no fluff). If you like honest and vulnerable music, we think you will like us. Moonrise Nation: Ideally we are able to continue to make music and build our audience. We don’t want to go back to our day jobs… so if we can continue to do this and support our livelihoods with our art, we will have reached success. Moonrise Nation: Very honest and heartfelt pieces of music that represent the three of us. These songs are original and fresh. We don’t imitate any sound or lyrical content. We get very deep… It’s blunt, self-aware, and presents our fervent obsession with communicating through music. Listen closely, there is a lot going on.